This time this is for real. I have built a [tag]theme[/tag] from a blank sheet, i.e. a blank template. The tutorial is here and I'm testing it at this site. I have followed the footstep of Shelly of aneko Studios who has written a great tutorial on how to build a WordPress theme. She has written in giving me valuable comments as well. I'll be attempting to improve the readability of my [tag]tutorial[/tag]. I received today an registration to my emba2006 blog from someone I don't know. I have not thought someone would be interested in joining because there is nothing you could see if not logged in except scenery photos, perhaps he/she thought we have a photo site there. I have amened the wp-login.php and wp-register.php files(restored original) and the sidebar.php such that registration is disabled. Wonder why this feature isn't in the admin of WordPress.I was wrong and overlooked that it's in Option>General>uncheck "anyone can register". The other site I own and maintain for Professor Chan will have a touch up soon. There is a new version released for the theme [tag]LUSH[/tag] I used there. I am watching the comments there in sort of a "wait and see" mode before replacing the theme files. Mankind has been pursuing this for hundred of years. 101 years ago Albert Einstein offered a solution that almost hit our target. That equation or theory is E = mc2. 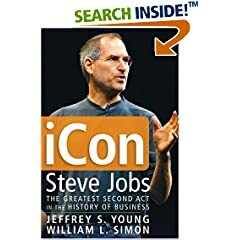 I am half way in reading iCon Steve Jobs. Steve is named the greatest Evangelist of the high tech world I then come up with my view on the Theory of Everything, the human side of it. Evangelist (who is full of Energy of course) = Mass x Courage x Committment. Today whatever you do you are trying to win a "mass" of people. This "mass" could be your customers, followers, people that work with you or your investors. You can't turn vision into reality unless you have courage and committment. In management basically you are selling/preaching/promoting something, it could be an incentive you offer to motivate, a vision, theory, yourself(charisma). A lot of people don't actually know what they are selling. I have finished working modding this one, I leave the header image there for now. My sister said it's OK but comments from forum here are mixed. By the way Kaushal Sheth in his site just released this [tag]Coffee N Cream[/tag] theme using the same template without much changes made to it. You can compare mine with his. [tag]Maxthon[/tag] is another IE alternative like [tag]Avant[/tag] (my earlier post here) that uses whatever IE engine currently in your computer. Their latest public 2.0 preview is available as of September, see their blog post here. I have a few minor problems during starting after installation. Be reminded if you have a previous version of Maxthon please make sure you have all your plugins uninstalled before starting this preview version. So far I just like the speed of it. It also imports Firefox's favorites quite easily. I just like the image, other colors don’t match….OK give me some time or comment. Sister said it’s OK, what do you say? 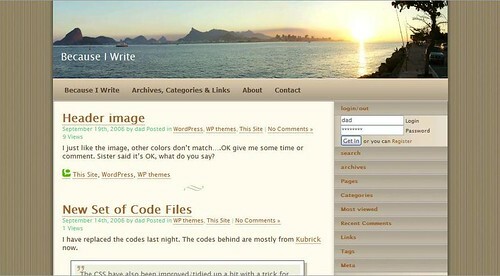 The default WP's theme named Kubrick is a mix of love and hate. Lots of people love it and are still using it. There are probably equal amount of WP bloggers hate it for many reasons. For me it is a matter of first impression you either like it or you don't. It's hard to explain why. If you are just blogger who believes outlook is more important than content then you'll be hunting for better themes naturally. If you like to play with the codes behind WordPress (they said "CODE IS POETRY") [tag]Kubrick[/tag] isn't the one for beginners. From WP's support forum even the moderators said Kubrick theme is notoriously difficult to tweak. I come across this support forum post recently. Now if you are bored with the blue simplistic header image of Kubrick theme you now have more than 50 different choices of header image which you could replace the boring simple blue default color header. These images are really nice and they are from stock.xchng. Perhaps I should also look for one to replace my own version of Kubrick theme which is available at my theme switcher here. I consider this theme more or less done, check it out here at my test site. It's quite nice in Firefox but not so perfect in IE7 RC1 that I'm using. In IE the sub-categories don't get the indent and fonts are not very smooth for some reasons. It FF it's almost perfect. The template isn't mine, credits in the footer and codes are mostly from WP's default Kubrick theme. The sidebar codes are inspired by Fauxzen's NewZen theme. This time, instead of using his code files, I have done it from ground up making sure I understand fully how to build it up from scratch. I think I could convert sidebar of any theme now to collaspable type just like this. I'm looking for a nice and matching header image for this theme which I have yet to find a name for. I have replaced the codes last night. The codes behind are mostly from Kubrick now. The CSS have also been improved/tidied up a bit with a trick for shallow for blockquote now added. See this example here. For more CSS tricks see CSS Play. Put this to use is a bit clumsy. You have to put 2 nested classes around the ‘blockquote’ tags. I wonder if there is a easier way. For a smaller box like this a different class is used. I’m developing this on FF and everything looks fine. On IE7 RC1 the colored box within the blockquote box is a bit out, that can be fixed I guess but not a priority at the moment now fixed. I saw a nice template in CSS Design templates. I first saw other designes ported by Kaushal Sheth at his site. He ported 5 others I picked one that he didn't do which I like named "Coffee N Cream" and played around it here. This is my first attempt using someone's CSS template and build a theme. It's at very early stage and there are lots of fine adjustment to do. Google Analytics has been working fine for this site. 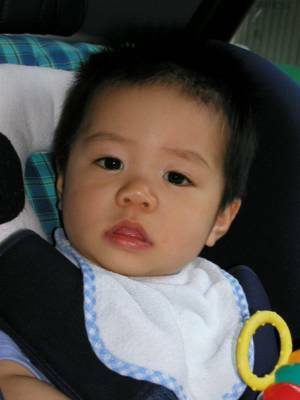 I have also added other 2 sites which I owned namely The Life Of An Alien and Andrew Chan. For some strange reasons, which could be theme specific, tracking still doesn't work for the Andrew Chan site. I wonder if I have to change the LUSH theme there to tell the difference. They are not new for sure. From their What's New their 9.01 Build 100 was released Jan 30, 2004. I wonder why evolt.org browser archive hasn't got Avant in their list? If you want to try latest beta of Avant get it here. It appears that Avant just uses whatever IE engine installed on your PC. You may have noticed that meebo is experimenting adding search bar to their interface. Find out more from Sandy's blog post here. Here is my 2cents. When I hit return after entering search text it pops up into another tab or window showing the search results. Why doesn't it open up another small, resizable window within meebo? When the right search result is found then the user can jump right out. Browser within browser (or P-in-P) is so common now, check out Bitty it's cool. I hope they are adding more search providers in due course. Do you see evangelists around you? A lot of us may say the boss of a company is one of those because he/she keeps telling you to go for this and that and hit that goal....etc. In business sense I don't see evangelists in this little city. Some even said non of the rich and famous guys here qualifies the strict definition of entrepreneur. The Wikipedia definition of entrepreneur doesn't touch upon the orgin of entrepreneur which I was told came from early Church. True entrepreneur has "larger than life" causes. They are certainly not after wealth for oneself or their family. Entrepreneurs are natural risk taker but their goal is to bring wealth to the people and community. Are you working for one of those? I tried beta 2 and 3, didn't like it as I said in this post. Now installed the latest RC1 which I got it from here. As usual validation is required before you could download. It's a lot better I would say. It's faster and the display, especially fonts, looks a lot smoother. I still don't like where the tabs are as they are mingled with other menu items. I could get rid of those menu items but it would be better if they can be put in a separate row. If you have lots of tabs the Quick Tabs (Control+Q) is good providing thumbnail shot of tabs for quick navigation. One important thing above all, meebo is working fine in this version of IE7. I had to participate in "partnering" in a large scale construction project. One of the slogan (from those who "sell" partnering) I heard about partnering is "...the way we used to do business...". One of the routine that participants of partnering had to do is meeting regularly and submit individual scores against partnering charters. My comment at some meetings was that I see partnering as religion, i.e. you just need faith and you must go back and revisit your committments every week as if church visit every Sunday. Most people laughed and couldn't quite agree. I don't see why people don't agree really. The ingredients of religion which resemble the intents of partnering have been underlined above, can you see my point now? Contracts are getting thicker and thicker. Lawyers are getting richer and richer. The parties to a Contract have mistrust built into the document by the time they signed on the line. If you don't believe in the partnering charters with blind eyes and throw away selfishness, ego and establish common goals partnering is a complete waste of time and money. It could be worse as some may think that partnering could be used to exploit interests of others. Few months ago (can't remember exactly when) there were still suggestions/complaints in the Flickr user forum that batch editing features of flickr were no good. Now I can enjoy the feature I have always wanted, i.e. batch editing. Imagine that you have a number of photos belonging to one set just uploaded to your account. Once you have signed in you'll see that "sets" appearing. Click the edit link you'll arrive in photo organizer. Above your photos there is a "batch edit" link, in the drop down menu you'll find "titles, tags, and descriptions", "change permissions", "change licenses", "add tags", "change dates to same day", "rotate", "send to group" and "add photos to the map". The feature I wanted is "send to group". Without this I had to add each photo to a group individually. 48 - This year is full of movement (so far). I seldom have to travel in recent years since I don't like it but I have done a few trips in the first half of this year. I have been to ZhaoQing, Wuxi, GuangZhau, Japan...would there be more, I don't know. Year of Pig will not be easy. 47 - This year is special. I completed my 2 years EMBA programme in Chinese University of Hong Kong. Incidentally the legal battle at work has also come to an end in July after an intensive 4 days exciting adventure which I briefly mentioned here. What's next, I don't know? 44 - When I was this age we lived in 22/F above Broadwood Road for about 22 months with a nice view but an expensive place. A view of fireworks every night at 8pm at either kitchen or the bedroom, even Douglas was bored with it. The title of the site is inspired by George Orwell's little book called "Why I Write". For more information about George Orwell see Orwell. At work I have to write a lot of boring stuff. All letters that I wrote fall into a template we use for business, contract, yet to form relationships (very little of this sort as I don't really sell things). Ironically we don't actually mean what we write in those letters. At the end of a big job we had to find our way out from a grave we buried ourselves in with tons of paper. You want to know how many trees we killed? Try these links for paperless office and paperless. It was also because of that drive to keep my head above an ocean of paper I was attracted to coding. Too bad what I have learnt is made outdated by waves of new way of doing things and technologies. I have started blogging in January 2005 since then have written and posted quite a lot. It was partly due to the assignments I have to do for my EMBA. I don't code for a living, I write scripts for fun. I owned an Apple II clone at the beginning of time and was fortunate enough to have used first generation of IBM PC/AT this fact alone qualifies me to the Museum if I were in the IT high-tech industry, fortunate enough I'm not. I believe software, both the use of and design/development, should be easy enough for laypeople. It should be as easy as chess that has a place in elderly home. ASP 3.0 was my favourite some years ago as it was BASIC enough. My attempt to climb ASP.Net 2.0 was not smooth hence making the switch to PHP/MySQL real fun. In fact I love opensourceware and believe in the power of the community.